Since the start of his career, Tech N9ne has made it clear that he's going to make music the way he wants, how he wants and be successful doing so. With over two million copies of his records sold independently worldwide, Tech has achieved a level of success rarely seen by independent artists. 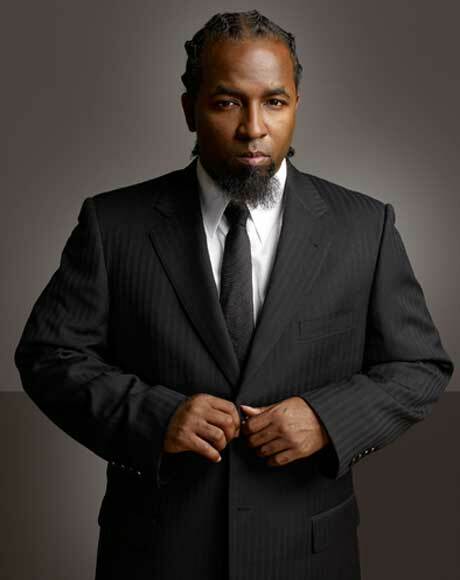 As Tech N9ne prepares to start his Canadian tour, Exclaim! had a chance to speak to him about his latest album, Something Else, as well as the Strange Music label and the blueprint that he's upheld for independent artists everywhere. Having just released Something Else, which happens to be your 13th studio album, can you tell me a little about it and what makes it different from the rest? Everything is so much bigger and I knew that I'd have to let out things that I'd never said before with a title called Something Else, and I really had to live up to that name. As a 22-track project, with additional bonus tracks, why did you choose to release it as a one project as opposed to dividing it into two separate joints? I just wanted to put it all right there and it had to tell a story, and I told a hell of a story. It just had to be something else. [Laughs] I didn't mean to say that, but I think it turned out that way didn't it? The majority of the production on this album was handled by Seven, so what makes the perfect artist-producer relationship? It's very important that you have someone that knows what you want, you know what I mean? And Seven's been working with me for a long, long time now. He did all but four or five songs off the album I think. Him, Young Fyre came through with a couple, Ben Cybulski came through with two, Shane Eli came through with one, Scoop came through with one and Fredwreck... So with the exception of four or five, he did the whole album pretty much. And what a wonderful job he did! The reason why I love about Seven is that he's diverse...you can't tell that the same person who did "Straight Out The Gates" did "Fortune Force Field"... you can't tell that the same person who did "Believe" did "B.I.T.C.H." with T-Pain. It's crazy, crazy, crazy. You can tell that the same person who did "That's My Kid" with Cee Lo Green did "Love 2 Dislike Me." Crazy. Would you ever consider branching out to "major label" producers? Yeah, but I gotta get my money up! I've been wanting to work with Pharrell, Timbaland, Dr. Dre and Kanye... and Eminem and all these people for years, but I gotta get my money up. These guys cost a lot of money, yah know?! I'm in the midst of getting my money up... I could actually pay right now, but I'm doing a lot of reinventing in my company. So, when it's time, I'll probably get these people on my next project... Kanye, Dre, Em, J.Cole for beats. All those people. Always wanted to work with Pharrell so bad and Timbaland like crazy. All those people that I think are wonderful, beat-wise. "That's My Kid" is one of the most potent records on the album. How did that come into its own? My son recently graduated and I am just celebrating that he graduated. I brought him a brand new [Dodge] Challenger vehicle for his graduation present like: "Thank you so much man, for going in the right direction and choosing something positive." Even if the message isn't positive in all the music, just doing something positive like music is a better thing than selling dope and those other things we did. I was looking at society seeing Adam Lanza, and if his mom wasn't such a dumbo... maybe he wouldn't have those guns to do that, you know what I mean? I'm just so thankful that's ain't me having to deal with that. The parents being there, the mothers being drill sergeants and I'm saying "hats off to the mothers," my kids' mothers... without them, without those women being drill sergeants like they were, my son wouldn't be a gentleman and my daughters wouldn't be the scholars that they are because I'm always on the road. Instead of me watching them disappear in the night air, I'm at their graduation saying "That's MY kid right there." Proud, you know? Beautiful that they didn't turn out to be monsters like a lot of these kids I see on TV. Would that be your most personal track on the album? No, there are a lot of them. "I'm Not A Saint," where I talk about things I've never talked about and might break some hearts in that song, and I put an apology at the end. There's "Fortune Force Field" that reveals me having a lawsuit with some people and fighting for something that's mine and people saying that it's not. There's "Meant to Happen" that's totally personal, that goes into my childhood where bad things had happened with my mom, with me, and my aunties... and stuff like that. There's a couple that are pretty personal, but if I was to say the most personal, it's between "Meant to Happen" and "I'm Not a Saint." "That's My Kid" is a celebration of happiness, and I wouldn't say that the content is personal, it's just heart fluttering. You reached out to both Jay Z and Nas to appear on the album, but due to timing, Jay Z couldn't commit and the track you had sent Nas was "too personal." Can you speak to that song? He didn't actually say it was too personal but it came back that way. "Burn the World" is what I sent to him, and it was personal. It's about a little girl who got raped here in Kansas City... a four-year-old by a 28-year old man, and she was a fan of mine, so when I sent that to Nas that may have been a little too personal and I understand that. You, as well as Krizz Kaliko, take such pride in your stage show. Why do you think rappers are so scared to perform their music? I think because they don't know how to write to perform, you know? We right to perform. Even when we write [starts spitting "World Wide Chopper"] "Follow me, all around the planet, I run the gamut on psychology / They could never manage, we do damage wit' no apology / Pick 'em out the panic, a little manic 'cause I gotta be / Frantic, I'ma jam it 'cause I'm an oddity" ... you gotta take a breath right there! You gotta take a breath right there to go to the next line! So we write it to perform it. Some people just make records to make hits but we make it to perform. That's longevity, you know what I mean? What goes into your stage-show that won't be seen anywhere else? You won't see that certain very, very personal music being done live, like "Red Nose" or "Come Gangsta." Those are songs that make you cry and you won't see that at our hip-hop shows. We actually have routines that go with our music, where a lot of people just hold their nuts and walk across the stage back and forth. But our shows have structure. It starts hyper and loud, and rock'n'roll and then it slows you down and sets you down... talks to you spiritually and everything, and then speeds back up and gets sexual. There's so much life. What's going on with Strange Music, its signees and new projects? What's going on with the projects coming out...if I can remember all of them! Prozack has one coming out called We All Fall Down, Stevie Stone has one coming called 2 Birds & One Stone, Tech N9ne has one coming out November 5 called Therapy, which I'm finishing this week in L.A…. that's my full-on rock project with Ross Robinson. Um, I know I'm forgetting somebody... but that's just to name a few. We're all about to go on tour now. We're doing everything at once and it's hard to remember all of it. I know you've mentioned you would have loved to sign someone like Hopsin, but respect his own path, so who else is on your radar right now? What do you look for in the artists that you sign? I look for lyricism, I look for MCing. I look for guys that can talk to you through song and not just about rap, but about life in general, because that's what we all have in common. Even though we're different and we have different cultures, we have life in common, we have emotions in common as human beings, you know what I mean? I look for substance also, but on top of extreme lyricism. Is there anyone that you have your eye on now? Angel Davenport from Chicago, the homie [Jael] from here, Kansas City, Twisted Insane is raw, Aqualeo is raw...just to name a few. After so many years in the game, how do you stay grounded in today's music industry? What keeps be grounded is me staying 100 with myself and being totally honest, and my fans can feel it. Dead Prez said if you're "a liar-liar, wolf-crier, agent wit' a wire I'm gon' know it when I play it," so I just keep it as pure as I can and stay true to what I believe...and what I believe is being the clusterf*ck I am so I can talk about anything I want!